5 Things I Learned Playing Madden 16 at E3! In my first day at E3 I was able to play a lot of Madden 16 and also had the opportunity to talk to the developers that out the ones who actually make the game. In this time I was able to learn a ton about this years Madden and I am going to be sharing the top 5 things I learned in my time in the Madden Booth! 1. Expect Some Awesome Animations From Wide Receivers and Defensive Backs! In the four games I played there was at least one crazy animation in each of them and oae of my favourite parts of the games was throwing up streaks to my tall receivers and just seeing what happened. The animations were incredibly realistic and you can tell the interactions in the passing game had improved a lot from previous years. You will be sure to have some highlight real plays in your games and this will make the game very interesting and add realism and a fun factor. 2. The Games Presentation Is Relatively Unchanged! When I spoke to the games head of presentation I asked why the game looked relatively the same, “If its not broke don’t fix it” was his response and I do agree with this. Although I would like to be able to look at a new play call screen there were other areas that required fixing more so that that area. So do not be thrown off by the presentation and label this game, “just another roster update” because that is not the case at all. When I first saw the Draft Champions trailer I must admit I was a bit skeptical but as I was in the booth watching it and playing it I realized how amazing this mode really was. With the popularity of fantasy football and how popular fantasy drafts have been in the past. The integration of a mode where you can draft in a creative quick way and then play immediately whether it be against a online opponent or solo challenges is going to be very popular. I don’t expect this mode to surpass the ever popular Madden Ultimate Team but it looked very good and could be a great mode for a long time! Though there was relatively no talk in the trailer or conference the running game felt a lot better than previous maddens. When I was running the ball i noticed that there were many broken tackle animation some which I had never seen before in prior Maddens. Also in talking with one of the EA producers he told me about the integration of a new move where you can go go sideways through gaps to get into those small creases between the linebackers and d line. The juke moves also felt improved and I really felt for the first time in a Madden game felt I had total 100% control over my running back. Though this will be very over shadowed by the new catching animations a seasoned madden player will notice improvements. 5. Expect A Lot Less A.I Abusing! I spend a whole game with another Madden competitive player trying out all of the stuff we had used or seen in prior Maddens. I found that everything i tried no longer worked the same way it used too. This means that this game may make the top players rely on a lot more football knowledge and less mastery of user skills and nano blitzes. It is however very early and I am sure top gamers will find a way to set themselves apart. 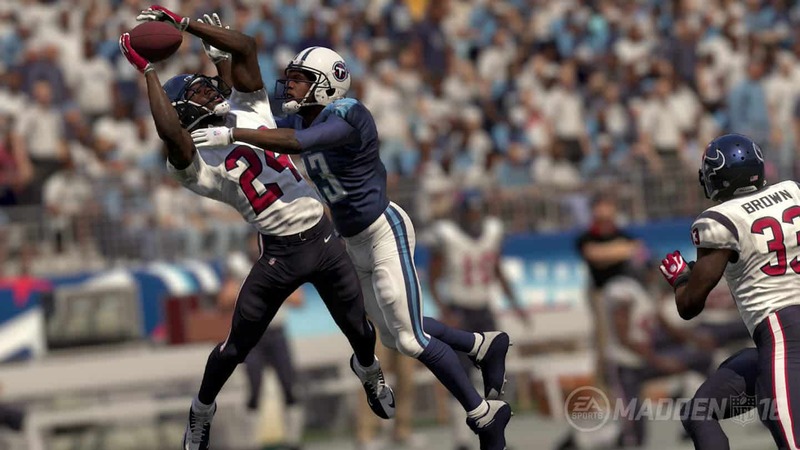 Madden 16 looks amazing and I really think that it will be a huge success if people can focus on the gameplay instead of dwelling on the lack of presentation. I hope you guys are as excited as I am for this game and expect a lot more content in the future! Next articleJoe Montana 16 for Mobile & PC Only! 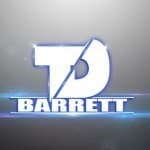 College Prospect and 18 Year Old Madden Commentator I have played Competitively Since Madden 12. I am always looking for new ways to out-scheme my opponent!